After his life is threatened, DI Bob Dixon leaves London hoping for the quiet life in the northern village of Saltburn-by-the-Sea. But when he takes on the case of young Lizzy Scraggs, missing since a huge tide hit Saltburn six years earlier, he embarks on an investigation that will push him to the very edge of reason. Out on the beat, Bob learns the legend of the funicular car that left the top of Saltburn's famous cliff lift many years ago carrying two passengers, and arrived at the bottom empty save for an abandoned ticket. And every big tide since has seen another local child disappear. Feeling increasingly manipulated by a shadowy nemesis, Bob struggles to make sense of the seemingly impossible clues before him. How can the dead live again? Who is the tortured man haunting the churchyard in nearby Marske? And with the next massive tide just hours away, can Bob solve the puzzle and bring an end to the tragedy of Saltburn's missing children? Funicular has to be one of my most eagerly awaited books of 2018 after reading T.F. Lince's outstanding 2017 debut, Room 119. I am completely honoured to be one of the first readers of Funicular, and I couldn't wait to see if it lived up to it's predecessor. I loved the introduction to the North East that DI Bob Dixon encounters on the London to Edinburgh train. Bob is relocating from London to the quaintly named North Eastern town of Saltburn-by-the-Sea in an effort to wind down towards retirement. He meets a rowdy, but friendly, bunch of Middlesbrough supporters on the train and Fate waves her magic wand to start Bob off on the path she has in store for him. A path that sees Bob investigating the missing children of Saltburn, which appears to be linked to record breaking high tides and the mystery of the Victorian cliff lift, the funicular. There is an amazing sense of place in Funicular, with the funicular and the beach described exquisitely. Through the perfectly descriptive writing of T.F. Lince, I actually felt as if I was there and I'm definitely putting Saltburn on my list of places to visit, especially as it's only around 50 miles from where I live. I also felt that our North East spirit had been woven into the pages; everyone is shown to be so warm and friendly, and calling people by hilarious nicknames actually shows affection and respect here in the North East. As with Room 119, I was reminded of Back to the Future a little and not just by the lightning pace of the book. You can forget Doc Brown's 88mph when T.F. Lince is around; this pacing is supersonic! Like a fine wine, T.F. 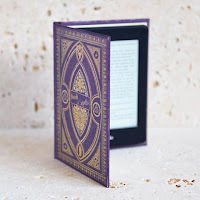 Lince's writing has matured and I found the whole reading experience to be of the highest standard, which is remarkable for such a new author. I think you can tell from the cover that Funicular is definitely not a run-of-the-mill police procedural but you do need to expect the unexpected in a T.F. Lince book; so put on your sunglasses and prepare to be dazzled by Funicular. 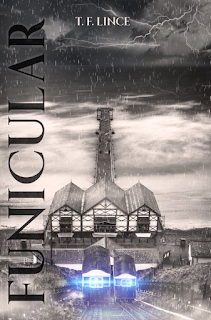 Unusual and completely unique, Funicular is a thoroughly entertaining read filled with mystery, magic and inimitable North East spirit. Yet again, T.F. Lince has firmly guaranteed his well-deserved place in my top books of the year. Make sure you come back for the Amazon link when the book is released mid-December!